This 60″ wide sign is for Col-tex Gasoline. The sign is navy blue, red, and white. 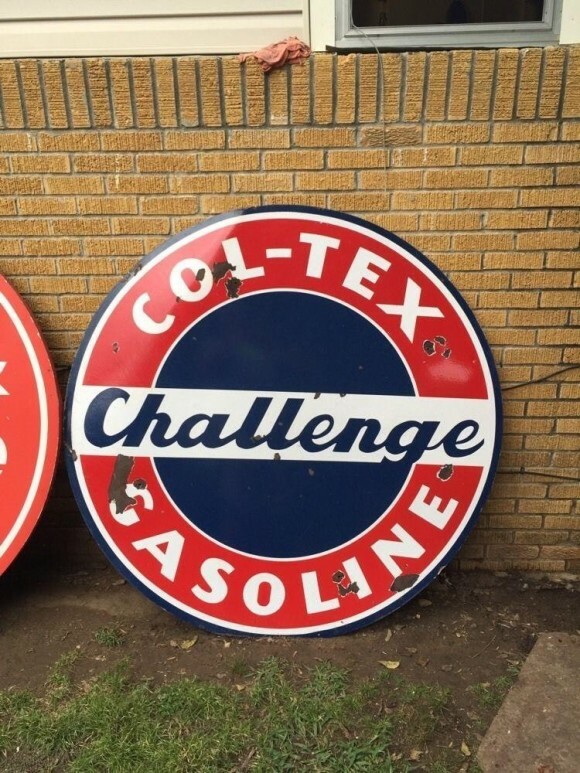 The text reads “Col-tex Gasoline Challenge.” The text is written in white and blue. The sign has a blue boarder with a red boarder inside of it.